Transfer coins to comfort method! 19 rubles = 10 000! The best price for a FIFA 18 coin! Fast delivery of coins from 1 minute to 30-220 minutes. 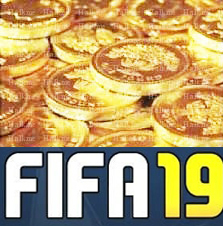 More than 6 years of work and 33,000 sales exclusively FIFA coins of all versions! Coins for FIFA 19 PC Ultimate Team. Be sure, carefully read the entire text of the product description and additional information on this page before buying. The essence of the method is to expose an expensive player from one account at a low price and buy from another account. After that, already sell it at a market price and thus make a profit. This method minimizes the maximum risks (But the risks will always be, since buying coins, you violate the rules of the game). For transfer, you need to tell me the login orjin, the password orijna. The secret from ut is needed only for entry, in UT, and the secret from the origin is needed to change the password and other data, we do not need it, as we do not need data by mail, without having this data with the account, nothing is possible to do! Also, ask the operator what you need to have to buy coins. At the top right of the page you need to enter the number of coins (1k = 1 thousand) or the purchase amount, after choose the payment method that suits you and click on the BUY button. Then follow the instructions. After you pay for the goods, you receive a unique code, you MUST contact me and let me know it. I guarantee delivery of coins within 1-120 minutes to the player after receiving all of you correct information about the goods, if I am on the spot. WARNING: Remember that the rules of the game (as in any other game) prohibit the purchase of game currency, and you are aware and agree that you are going to possible risks and in case of sanctions, the seller does not bear any responsibility and there can not be any claims. In FIFA 19 added a new paragraph to the user agreement. It looks like this: "in no case is it possible to engage in targeted accumulation of coins." In this regard, I recommend after buying coins, and even after selling expensive players from the packs immediately spend coins. For a transfer, a tax of 5% of the coins on the transaction amount is withheld.